This project in Jones Valley, CA came to us as a referral through our profile on Home Advisor and boy, are we glad! 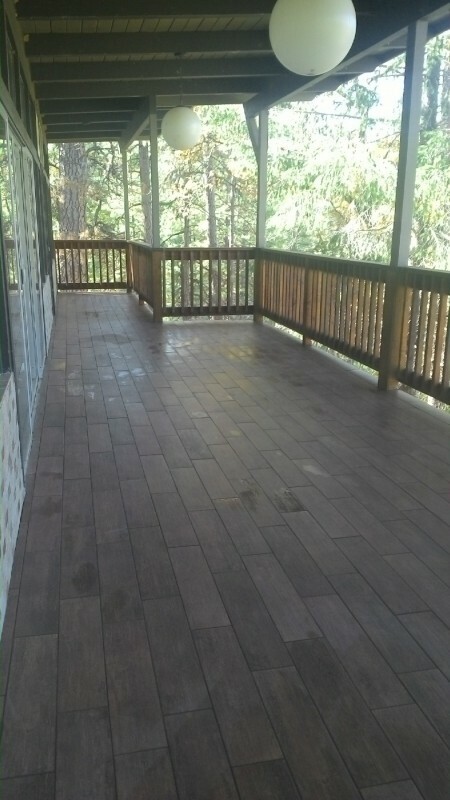 The homeowner hired us to complete an exterior wood plank tile deck with simulated wood porcelain tile at the house overlooking Shasta Lake. Sometimes we start from zero – other times we can help you finish the job! In this particular case, the tile deck remodel had already been started by somebody else. 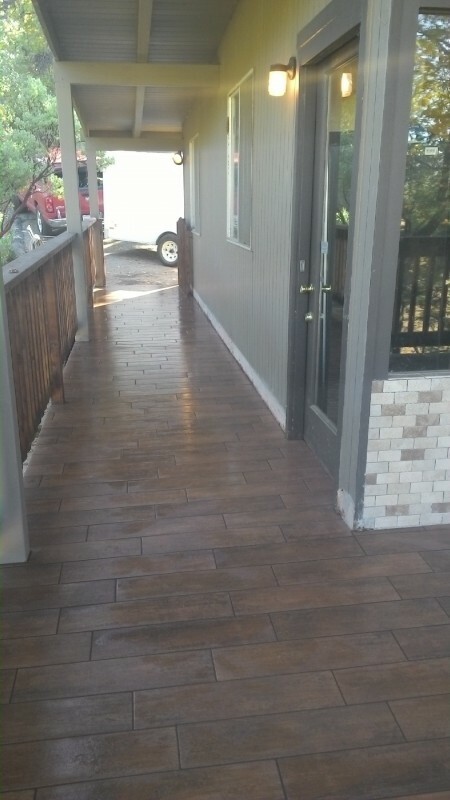 Unfortunately, due to an undulating surface on the deck and an attempted tight-joint arrangement, the job was not off to a start to the caliber that EC Tile or the homeowner would have preferred. The homeowner contracted us to remove the wood tile from the deck and to re-do the job. We removed and were able to salvage the 12 square feet of the wood tile that had been laid for refurbishment and we reset it during the project using Schluter-KERDI Ditra underlayment. 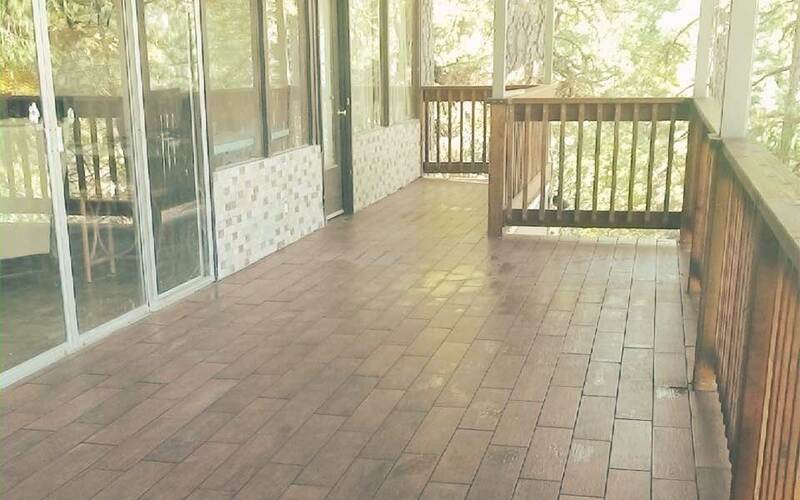 The final product was about 600 square feet of durable, all-weather, gorgeous tile veranda goodness! A happy customer is a repeat customer! Much to our delight, the customer was very satisfied. Not only did she love the quality of the work done by our Redding tile crew but she was surprised when we were able to complete the job on the third day before she had to leave town! EC Tile has been asked back to do granite tile counter tops in her kitchen in the very same house. We can’t wait!